Next Thursday is polling day in Lewisham East. It may look easy, but this is not a done deal. We’ve been out on the doorstep a lot and our support is holding up well, but there is a real problem with voter fatigue. The people of Lewisham East have had election after election – a general election in 2015, the mayoral and the referendum votes in 2016, another general in 2017, the council and Lewisham mayoral this year, and now this by-election. Voters really like Janet, and why wouldn’t they? She is an amazing candidate – a local who set up a foodbank, a keen campaigner who has already done a lot for the area. But people still need encouragement to go to the polling station. The fatigue goes for Labour members too. They’ve been great but we’ve asked a lot of them in the past few years and they need a boost. It really means a lot to local activists when members from other parts of London and the country come down to help knock on doors and deliver leaflets. We all know that the problems people in Lewisham East face are the same issues confronting voters across the country, especially in London. A broken rail system with daily delays, cancelations and overcrowding. A Tory housing crisis with people looking at the prospect of their families having to move out of the area because there’s not enough social and affordable housing to go around. Yearly cuts to services, which have left the NHS, the police, schools, social care and youth services struggling to do what they need to do. People in Lewisham have borne a lot of the brunt of the Tories’ terrible and iniquitous policy on immigration, with the Windrush generation being treated unforgivably. We also have the very sad prospect of far-right parties standing and attacking the social cohesion of what is an incredibly welcoming multicultural constituency. We have to send a message to the Tories and to those elements who seek to divide us that we are Labour and we will not stand for their kind of nasty small nation politics. We need the help of Labour members to remind voters in Lewisham East that they need to go out and vote. They need to show the Lib Dems that we have not forgiven them for ushering in the era of austerity. They cannot just pretend that they do not share the responsibility for the problems faced by our city and our country. If you want to come and help, visit labourinlondon/lewishameast. Join us and ensure a good win in Lewisham East. 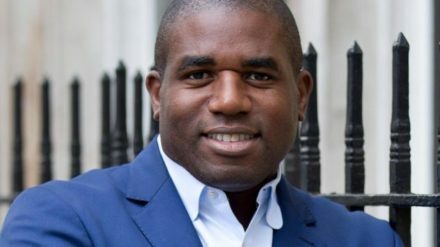 David Lammy is MP for Tottenham.